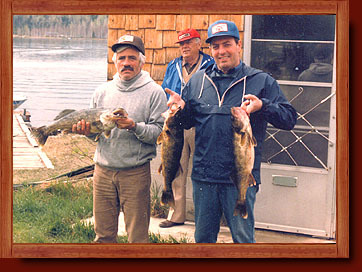 Ivanhoe Lake is a great Walleye fishery. It's the best-kept secret in Northern Ontario. 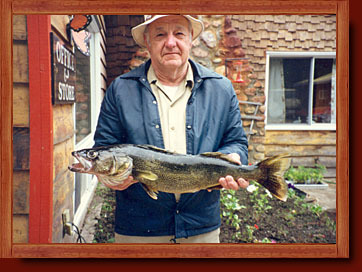 Sandy bottom makes for great Walleye spawning beds thus a high Walleye reproduction in the lake. 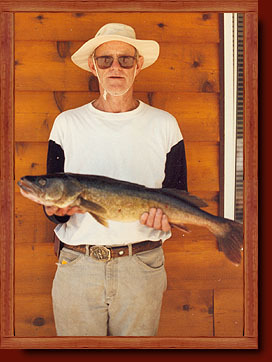 Sandy lakes have more weeds, which allows young Walleyes to hide from predators and weeds create more food for Walleyes. Walleyes are easier to catch during the heat of the day because they become more concentrated around the weedbeds instead of going deep. Less rocks means you can jig right off the bottom and get less snags thus increase your time catching Walleyes. The south-end of the lake is narrow, shallow and has many weed-beds and in-flowing creeks where great populations of Walleye can be found. Walleyes in the south-end of the lake are generally found in thicker weeds. Due to the high population of Pike in the south end, Walleye fisherpersons should use steel leaders. 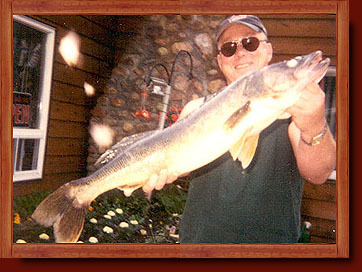 Walleyes in Ivanhoe Lake average around 2 pounds. There are many caught in the 3 to 6-pound range. 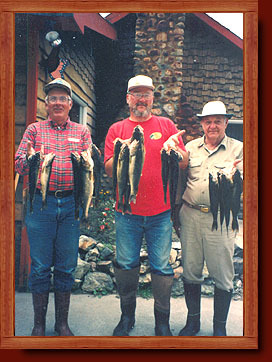 Our guests on occasion catch-&-release walleyes up-to and over 10 pounds.